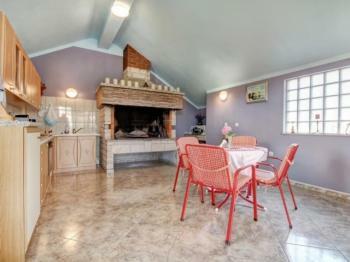 S2: My beautiful house in Istria offers accommodation in cozy private rooms with ensuite bathrooms. Guests can use the private parking, an outdoor fireplace, deck chairs, equipped summer kitchen. Near the center of Medulin. In the courtyard there is a detached house which is a summer kitchen. There are all the devices, in order to feel at home. There are refrigerator, coffee maker, electric kettle, oven, stove, freezer, toaster and filter coffee. Outdoor fireplace is available. 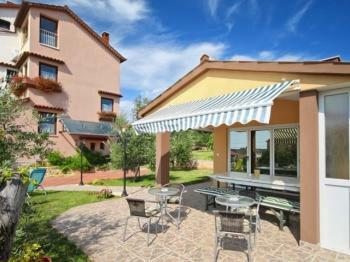 Guests have access to sun lounger...s and garden furniture which is located in a beautiful garden where you can relax and enjoy. 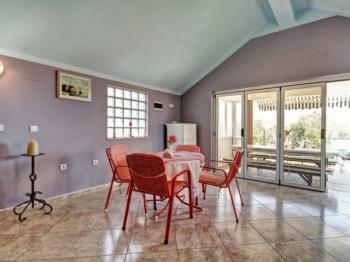 * The summer kitchen is common to all the rooms of the first floor (all together there are 4 rooms). Hair dryer, towels and bed linen are in the bedroom.